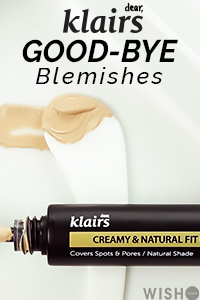 There was a time when I thought that eye creams should be part of a skincare routine, and using a regular face cream for under the eye area would be a no-no. This was before my AB (Asian beauty) time, my main reasoning was that most regular moisturizers irritate my eyes so eye creams are the only thing that could work there. Still, I have to admit that many eye creams gave me rabbit eyes, it was not easy for me to find a non irritating eye cream. After committing to an AB routine I realized that many products I use for my face, like my Sum37 time energy emulsion and Benton Aloe Propolis gel, also work good by moisturizing my under eye area without irritating it. There are actually no scientific arguments why regular good formulated creams and serums can't be used as an eye cream. In some way I see the concept of an eye cream a marketing plot, tricking consumers into buying regular cream versions in a small jar!. Most eye creams come in 15 ml packaging and are super expensive compared to regular creams. Still, I kept trying some eye creams just out of curiosity. 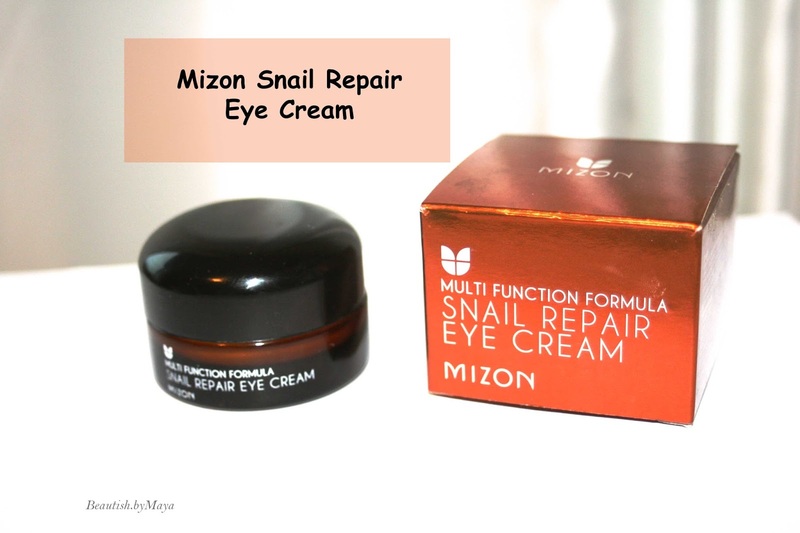 Today I will review the Mizon snail repair eye cream. The Mizon snail repair cream is one of the brands bestselling products, formulated with 80% snail mucin, that promises to maintain elasticity, brighten, control melanin and have an anti-wrinkle effect around eyes. Mizon product description: "The combo of intensely concentrated snail mucus filtrate and E.G.F makes the anti-aging cream a certified eye wrinkle care with outstanding skin regeneration. Contains snail mucus filtrate (80%), E.G.F, adenosine, and peptides.". Mizon is a Korean brand that is famous for its snail products. Like with most Mizon products the ingredient list looks good, snail secretion filtrate is listened first. Running the formula though Cosdna there are some minor red flags, most are not high in the list. Snail secretion filtrate is the star ingredient here: snail filtrate has been registered and recognized as an official cosmetic ingredient that's is derived from Snail mucin. Yes, from those little shelled now 'skincare buddies' that the french eat. Snail mucin, is packed with nutrients such as hyaluronic acid, glycoprotein enzymes, proteoglycans, antimicrobial and copper peptides. All these ingredients are commonly used in the beauty industry and proven to be beneficial for the skin. Hence, theoretically snail mucin's ingredients can be anti-aging by stimulating the formation of collagen and elastin, repairing damaged skin, and restoring hydration. 'Snail' skin care products are very popular in Korea, but you could have not missed that. Not many scientific studies have been done on snail mucin, but there is some evidence that snail mucin can heal wounds, repair UV damage, heal acne and PIH, and reduce inflammation. The cream comes in sturdy heavy glass jar. The color of the jar is brown-ambre and I like how it feels in my hand, you would never guess that this cream is only 14$. The description on the box contains English and Korean text. 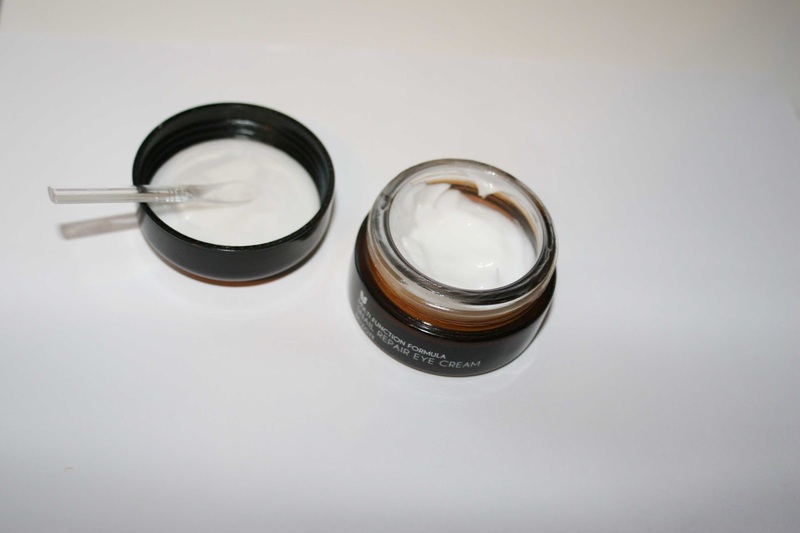 The jar contains 25 ml of product, which is really a lot for an eye cream. There is also a plastic lid on top that prevents the eye cream from leaking and a spatula for hygienic application. The cream is white 'gel like' and odorless, there is no added fragrance. I take a half pea-size amount with the spatula and apply it in a dabbing gentle motion around my eyes. Opinions are divided about the 'right' time in a skincare routine to use an eye cream, I'm so lazy that it's actually the last step in my routine. The cream is light, thin, and slightly sticky in consistency. If you used snail mucin products before you must know what I mean by 'snail stickiness'. The cream is definitely more gel like compared to regular eye creams. There is some light stickiness after application that disappears after absorption, which is like takes like one minute. I have been using this eye cream for over a month now, but I have to admit that I'm not using it religiously everyday. It does make my under eye area softer, smoother and more hydrated. I'm not sure about long-term effects, but results after application are visible: plumps up fine lines and the under eye area skin is smoother. I'm not naive and don't expect the cream to get rid of my under eye wrinkles, no hydration, plumpness and brightening are my main goal. I am disappointed that I didn't see any significant brightening effect yet. I was happy that cream didn't irritate my eyes, but while I was using the cream 2 small flesh colored bumps formed under my eyes. This doesn't happen often, so I don't know if it's just coincidence or a reaction to the eye cream. Luckily, the bumps disappeared very fast and I have had no new cases so far. Taken together, results are satisfying so far, but what I was curious about is how the eye cream compares to the Mizon all in one snail repair face cream from the same line. I have not tried the Mizon all in one snail repair cream so I can't compare them directly, but we can take a look at the ingredient list. Just like the eye cream the Mizon all in one snail repair cream contains 80% snail secretion filtrate. You can find the full ingredient list here on cosdna. it appears that the face cream contains more potential acne triggers an irritants compared to the eye cream, and some are higher on the list. 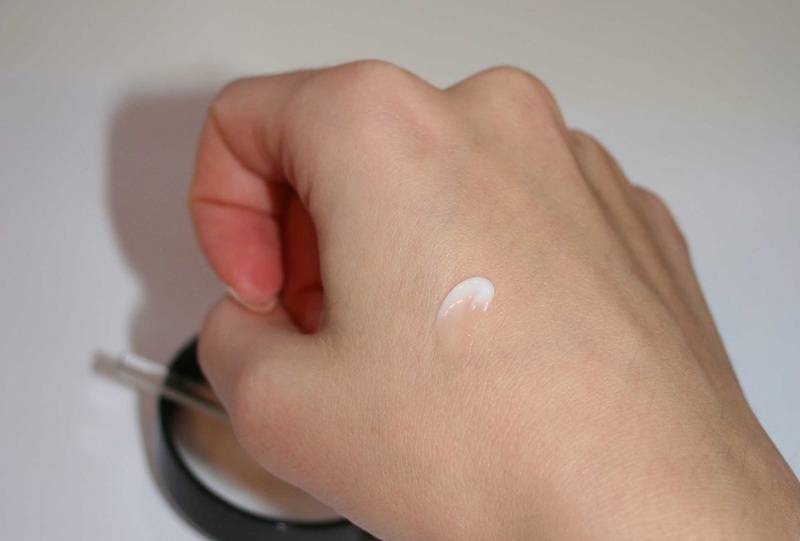 Just by looking at the formulation it seems like the eye cream is more suitable for sensitive skin around the eyes, and in additional contains niacinamide (which is absent in the face cream). Hence, in this case it's worth using the eye cream instead of the regular face cream, but in general I think it really depends on how sensitive your under eye area is and the formulation of the product. 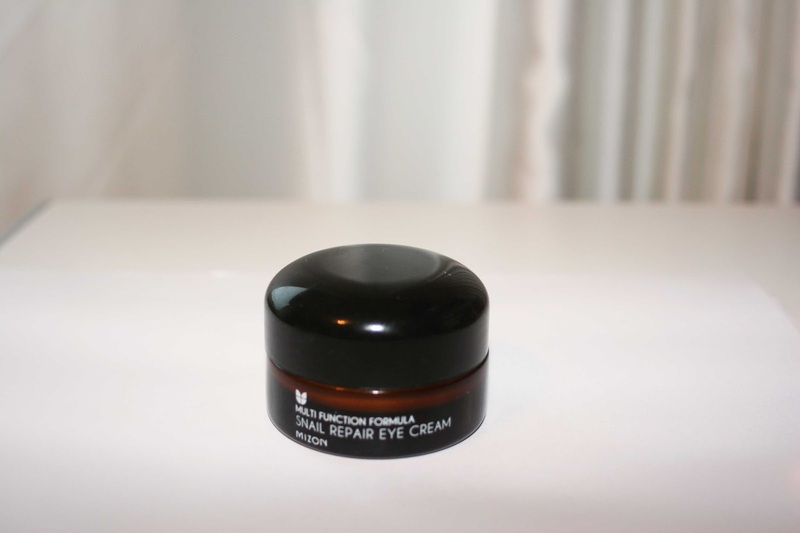 The Mizon snail repair eye cream is a good eye moisturizer, smoothing and plumping fine lines. It's difficult to detect long term changes, especially real anti aging effects. I see no significant brightening, maybe its because I haven't used it regularly and not for to long. For the price of 13$, the ingredient list is impressive and consistency very light. Its definitely delivers more than a regular eye cream. The eye cream is good for sensitive skin and contains snail secretion filtrate, perfect for 'snail' fans or the ones curious to try. You can purchase the Mizon snail repair eye cream on amazon here* for 12$, on wishtrend* for 16$, jolse for 12$, and w2beauty for 14$. There are also many other web-shops and various ebay sellers selling it. 5 bunnies = reached Holy grail status in skincare, can't live without. *This post contains some affiliate links (with an *) shopping with them will support the blog. I politely disagree on using regular face creams around your eyes. While there is often barely any difference in ingredients, the formulation is different (not always, but most of the times). The face creams are designed to "spread", to cover more space, while eye creams are designed to "stay", so they don't get into the eyes easily. If you don't have sensitive eyes, you can most likely get away with using a regular face cream. I do prefer eye creams, as they don't irritate my eyes half as much as a face cream does. True eye creams are in general 'thicker' than face creams, sometimes I even find them difficult to spread. Personally, I prefer thinner formulations maybe thats why I dont mind using eye cream there. I find that many eye creams as well as face creams irritate my eye, but its true that there are probably way more face creams that are irritating for the eyes. which eye creams do you use? I understand you, have the same issue. have you tried the Mizon one? Do you use regular fave cream there ?